Obamacare: The "job lock" is something the GOP opposes. 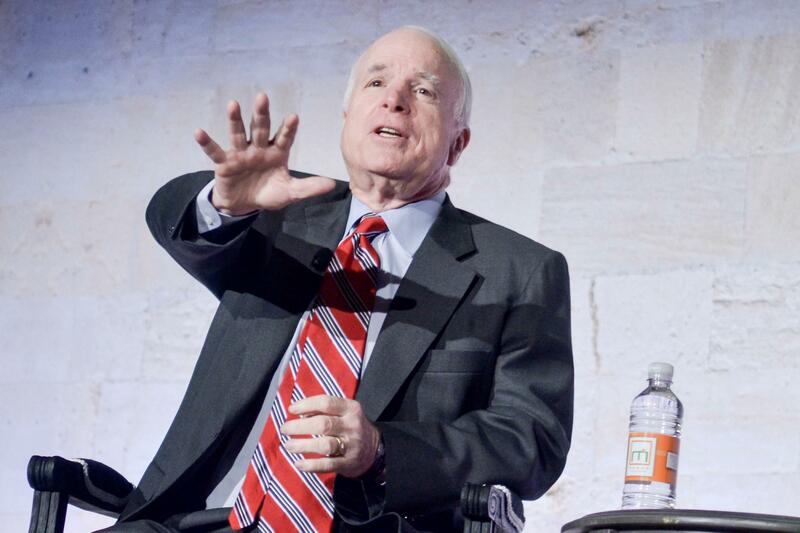 John McCain hates the job lock—or at least used to. I was a little long-winded in my first post on CBOghazi, so here’s a better way of illustrating the trouble, for Republicans, of panicking that people might leave the workforce because of Obamacare. One of the biggest limitations of our current health care system is that leaving a job often means leaving your health care plan. This makes it harder for Americans to build a relationship with a doctor over a long period of time, and it makes it less likely that insurance companies will invest in keeping their patients well rather than simply treating them when they are sick. Additionally, “job lock” reduces opportunities for American workers because they often pass up new jobs for fear of losing their health care coverage. Obviously, McCain wasn’t proposing reform that looked like Obamacare. (Neither was Obama—remember that he campaigned against a health care mandate.) At the time, his chief economic adviser was former CBO Director Douglas Holtz-Eakin. Since then, Holtz-Eakin has launched a health care think tank. A few days ago, that think tank warmly reviewed the Coburn/Burr/Hatch “CARE ACT,” which includes a continuous coverage provision so that (according to its summary) “individuals can transition from employer-based coverage to insurance in the individual market.” Nothing in there about whether some people taking advantage of this might leave the full-time job market for a part-time job. You get the sarcasm. Six years ago, the “job lock” was a problem that prevented people from moving on to something else. Today? Igor Volsky’s tracking this subject closely, though of course ThinkProgress has a stake in it. *Or his name appeared on—you know how this works.